Night Light is the first attempt to create the scene I was envisioning as a painting. I realized too late, that I had made the street lamp too big relative to what I wanted to happen around it. I would have needed a canvas three times the size to keep the perspective of what is in my head. I therefore made the reluctant decision to leave it as is and start another canvas using the street light theme. In the meantime, I hope you like the results of this one, as it has a few quirks to it. Also, I hope you stick around for what will be the ultimate realization of the vision I have for the scene. The scene here is reminiscent of what I see when I go for my evening walks. I’m infatuated with light, and any unusual display of it will stop me in my tracks. It’s kind of like “Shiny Object Syndrome”, only literally. 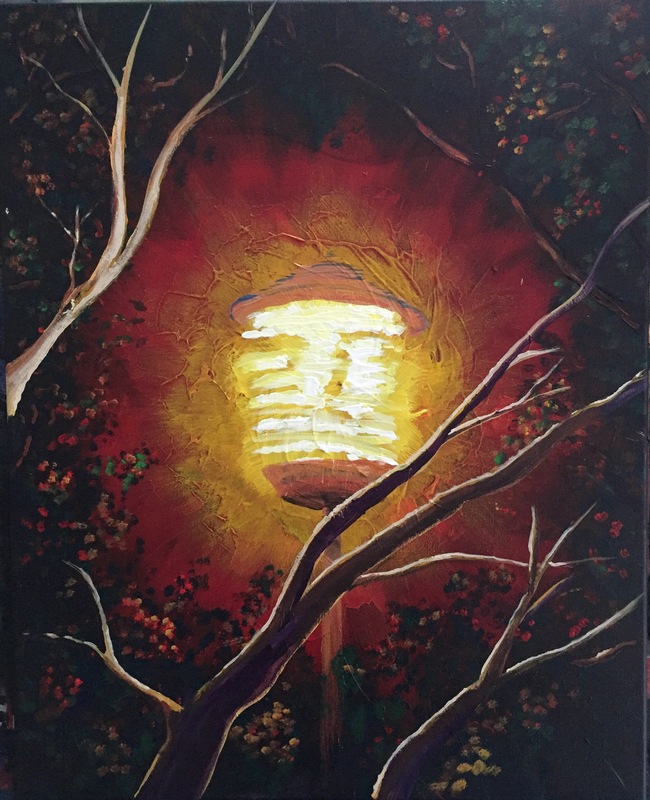 There’s a tree and street light combination on the corner of my block that inspired this painting. This is 18″x24″, acrylic paint on canvas, April 27, 2017. This entry was posted in Art, art collecting, for sale, local art, painting and tagged acrylic, art, color, concept, dark, gothic, landscape, light, local, nature, night, paint, painting, tree. Bookmark the permalink.